Tetra Pak is now offering the world’s first fully renewable package, Tetra Rex Bio-based, globally following its successful introduction with Finnish dairy Valio. Tetra Rex Bio-based is now available in a range of sizes, from 250ml to 2,000ml, for all chilled milk specifications. The package is manufactured solely from a combination of plastics derived from sugar cane and paperboard. Like the Forest Stewardship CouncilT (FSCT) certified paperboard, the plastics can be traced back to their origin, gaining the highest category of bio-based certification from Vinçotte, an internationally-recognized assessment body. 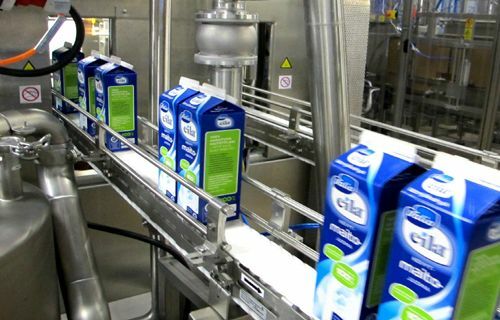 Valio has been selling its Valio Eila brand of lactose free semi-skimmed milk drink in Tetra Rex Bio-based for the past three months and now plans to use the fully renewable package for some other products in their range. “After all of the hard work and significant investment that has gone into bringing this package to market, it is hugely rewarding to get such a positive response from both Valio and their consumers,” said Charles Brand, Executive Vice President of Product Management &amp; Commercial Operations for Tetra Pak.